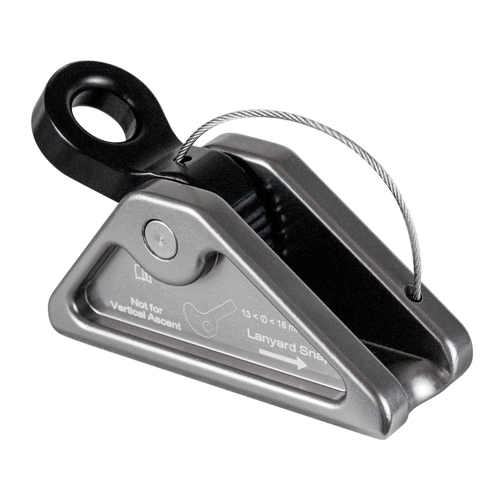 The rockGrab 90º is an advanced design over the traditional rope grab/adjuster. 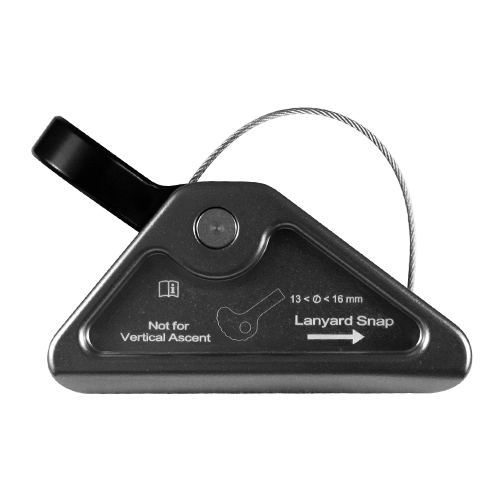 Featuring a 90º connection point, the grab excels on horizontal lines where it will properly orient with the D-Ring on the harness. The rockGrab body is milled along the side to remove unnecessary material, making it one of the lightest grabs available. Additionally, the axle rests entirely within the body giving the grab a slim profile free of any annoying external bolts or pins. Designed to be left on the rope.